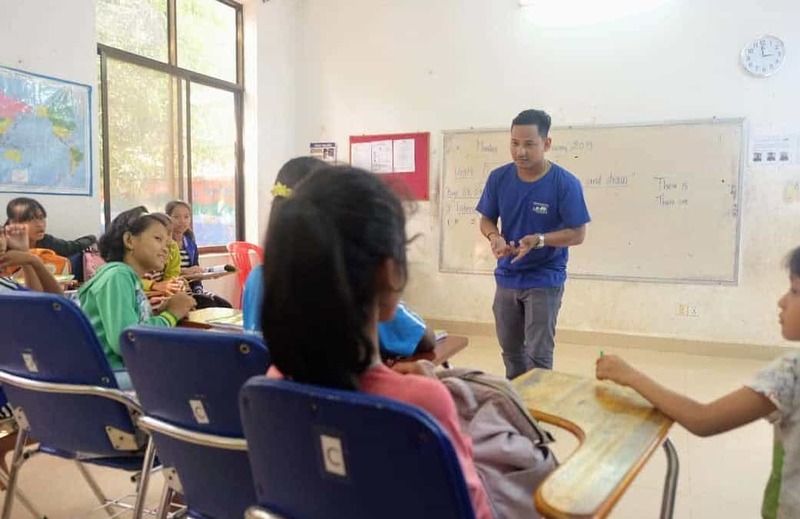 My name is Borey, I am 25 years old and I am a Scholarship student and staff member at JWOC, working as a Support Officer with the Free Classes Program. 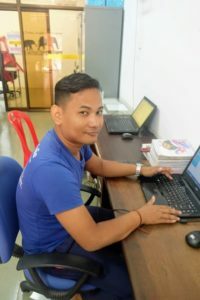 I am a student at USEA studying English for Teaching, and I am currently in Year 3, Semester 2. How did you become a JWOC Scholarship student? I found out about JWOC through an alumnus of the scholarship program 3 years ago. I was very interested and came here to apply. Even though I was not successful with my first application, I tried again and was chosen. What do you do at JWOC? As Support Officer I work with the Free Classes Team and our Office Assistants – helping teachers print documents, helping our Program Coordinator check information and update student data, while also supporting our other programs. I come to work at JWOC at 8am, and then I teach from 10-11am and again from 2-4pm. Sometimes I have classes at University from 6-9:15pm. How do you balance your studies and your job? Sometimes it is difficult to balance work and school, however, I currently have the 8th position in my class, which is very good. At the beginning of the term, I needed to prepare my schedule with both my school and JWOC e.g. the syllabus for learning outcomes and the exam schedule. I make sure that I have time to review my coursework. What is your favorite thing about JWOC? My favourite thing is that everyone works as a team. When I have worked at other places, I always felt that I worked individually without much feedback from my bosses and without much support to improve my English. This is very different from JWOC where I get a lot of support from my co-workers to keep improving. In the future, I want to be an English teacher working at a University or work for an NGO to help them coordinate their language programs. In my free time, I used to play a lot of games. Recently, I have been reading a lot of books, watching movies and listening to music. I also love to take pictures and making videos.